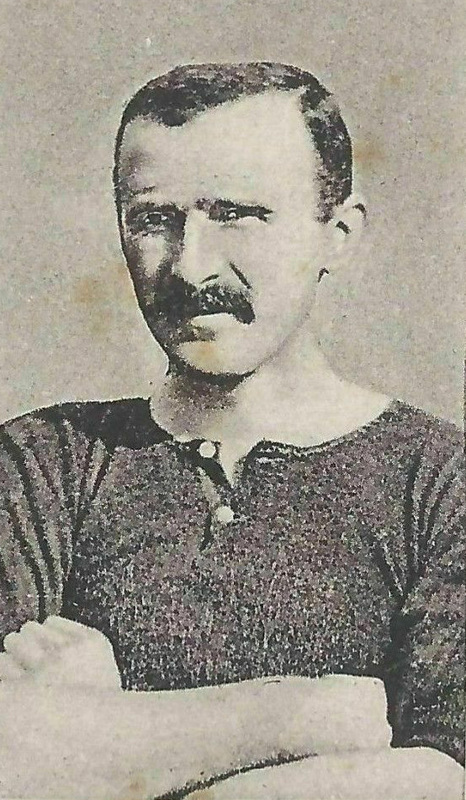 Hynds started with his local side Hurlford Thistle and signed for Celtic in February 1898. He made thirty-one appearances and scored twice from Centre Half in his time at Parkhead. He made his senior competitive debut in the 2-0 Charity Cup final defeat by Rangers on May 7th 1898 and despite that loss retained his place for much of the following League campaign. He was switched to right-half following the arrival of Harry Marshall and first team opportunities were subsequently fewer. He was loaned out to several clubs, Bolton Wanderers in March 1899, where he made eight appearances, Clyde in October 1899 and Manchester City in October 1901 before being transferred to Manchester City in September 1902. He made his City debut on 5th October 1901 in a 2-0 defeat at Notts County. He stayed at Maine Road for five seasons and scored nine goals in one hundred and fifty-eight League games and also played in fourteen Cup-ties without scoring. He won a Second Division Championship medal in 1902-03 and an F.A. Cup winners’ medal in 1903-04. He was considered invaluable to City and was reportedly paid more than their star player, Billy Meredith. However, Hynds became engulfed in an illegal payments scandal in 1904 and was banned from football for four months and fined £75. While still under suspension, he was transferred to Woolwich Arsenal in December 1906. He made his Arsenal debut on 1st January 1907, in a 1-1 draw against The Wednesday at Hillsborough, but spent only five months at the club, displacing Percy Sands from the centre half position for thirteen League matches and four F.A. Cup ties, in which he scored one goal, as Arsenal reached the semi-finals of the 1906-07 competition. He joined Leeds City in May 1907 and was recognized as a mature and robust Scottish centre-half, cool, self-assured and accurate with his passing. He was good enough to have represented the Scottish League and at Cathkin Park Glasgow he was picked for an Anglo-Scots representative side that played in a trial for the full Scottish team against the Home Scots in March 1905. His experience at the highest level in both England and Scotland made him an ideal choice as the new Leeds City captain. He was almost ever-present in his one season at Elland Road and played thirty seven League games and one in the F.A. Cup. He returned to Scotland and joined Heart of Midlothian in May 1908, but only played four times in a two season stay. He made his debut on 12th September 1908 in a 6-1 Away win over Motherwell and played his final game at Tynecastle on 1st January 1910 in a 1-0 win against Hibernian. He left to join Ladysmith F.C. in British Columbia, Canada and returned to Scotland in January 1913 to play for Musselburgh before returning to play football in the United States in January 1914, but had to stop playing due to sciatica. He later coached abroad, in Canada and Italy. Hynds' brother John also attempted a football career, but did not progress beyond the Manchester City reserve team.